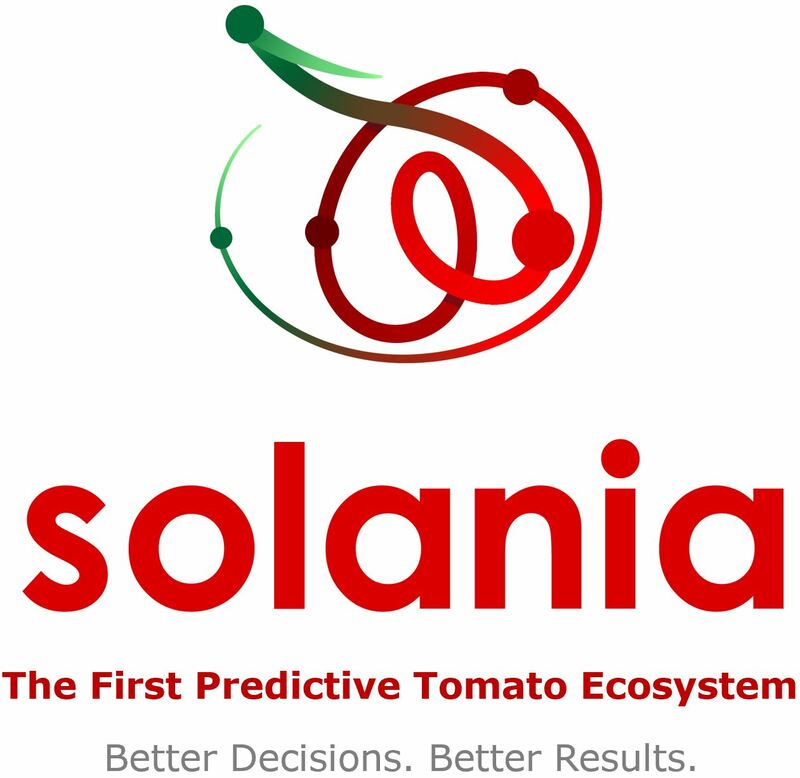 Total inventories of U.S. processed tomato products are approximately 8.2 million tons, stated on a raw product equivalent basis, as of March 1, 2019, according to a report released today by the California League of Food Producers. Inventory is down 6.2% from the prior year level. 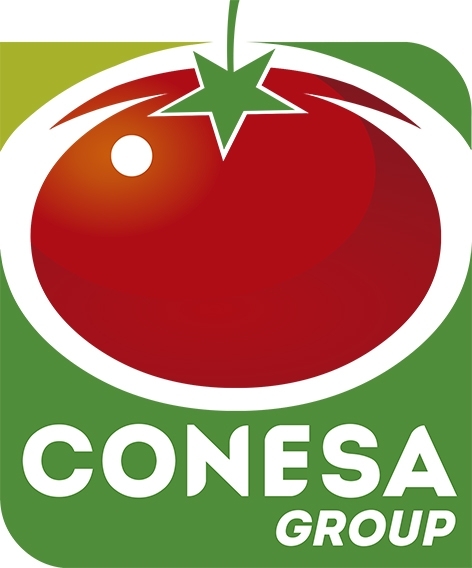 Apparent disappearance of tomato stocks has increased 5.3%, totaling approximately 10.4 million tons during the nine-month period of June 1, 2018 to March 1, 2019, as compared to the prior reporting period. 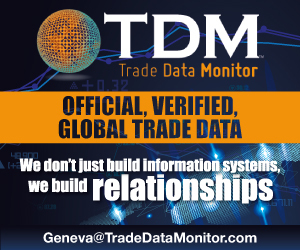 Total bulk tomato paste stocks, including inventory held for remanufacture, were estimated to total approximately 6.1 million tons, on a raw product “paid-for tons” equivalent basis, as of March 1, 2019. 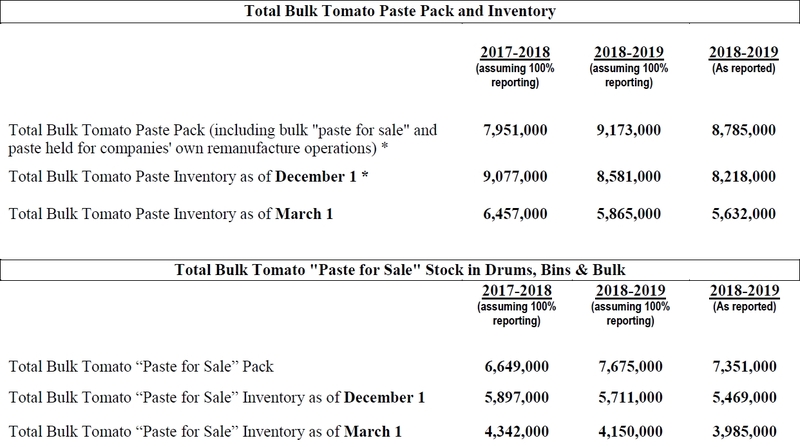 The U.S. bulk tomato paste-for-sale inventory on March 1, 2019 was approximately 4.2 million tons, on a raw product “paid-for tons” equivalent basis. CLFP statistics reports are estimates, assuming 100% reporting, of the total U.S. processed tomato supply based on voluntary reports from processors throughout the United States. Participating processors handle approximately 90.2% of total U.S. tonnage of processing tomatoes, and 96% of total U.S. paste production. The 2018-2019 U.S. Processed Tomato Supply and Movement reported is based on 90.2% of the industry reporting data. All numbers are rounded to the nearest 1,000 lbs. for the purposes of this report. This report is an estimate of total U.S. supply and demand for processed tomato products. Reports are based on voluntary pack and inventory reports furnished by participating U.S. processors. All positions are stated on a "raw product tons" equivalent basis. CLFP "Pack Year" begins June 1 and ends May 31. 2017-2018 pack year statistics based on reports from processors handling 91.8% of U.S. tonnage. 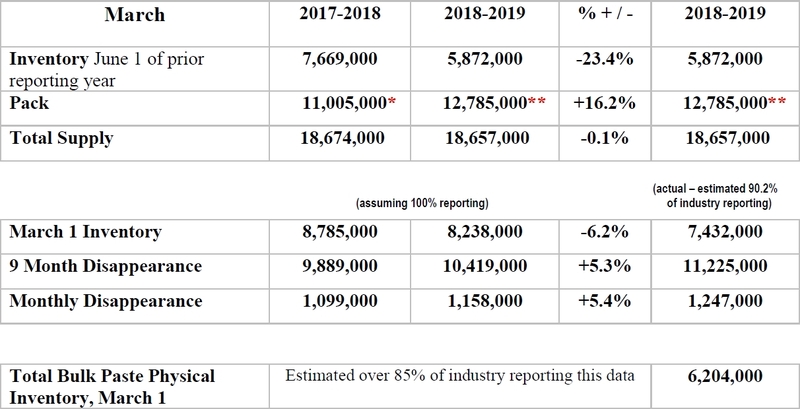 2018-2019 pack year statistics based on reports from processors handling 90.2% of U.S. tonnage. * 2017-2018 Pack based on PTAB’s final report (10/26/2017) of 10,464,000 for California (rounded to the nearest 1,000lbs. for purposes of this report), plus the reported pack production by the USDA/NASS 2017 Vegetable Summary by other states (541,800) released February 2018. * * 2018-2019 Pack based on PTAB’s final report (10/27/2018) of 12,276,000 for California (rounded to the nearest 1,000lbs. for purposes of this report), plus the reported pack production by the USDA/NASS 2018 Vegetable Summary by other states (508,492) released March 2019. Listed below are the 2018-2019 Bulk Tomato Paste and Bulk Tomato “Paste for Sale” pack and inventory estimates as of December 1, 2018 for U.S. Tomato Processors. The 2018-2019 U.S. Processed Tomato Supply and Movement reported is based on an estimated 96% of the industry reported data for bulk tomato paste. Representation below is assuming 100% reporting as well as actual paste as reported. A new method has been implemented to adjust volumes to 100% utilizing published industry production data. All numbers are rounded to the nearest 1,000 lbs. for the purposes of this report. Bulk Tomato “Paste for Sale” – Bulk tomato paste, converted to a raw product “paid for tons” equivalent, being held in drums, bins, and bulk, that has been packed to be sold. The estimates do not include bulk paste being held for companies’ own remanufacture, or paste in food service or retail/consumer package sizes. * Information reported for the December 1, 2018 report is based on 95.8% of industry reporting. Report released by USDA/NASS in March 2019, 2018 Vegetable Summary updated “other states tonnage” to 508,492. As a result, the estimate of industry reporting has been updated to 96%. This change has been reflected in numbers reported for March 1, 2019. Previous data remains as reported in December 1. Comments will be released shortly.